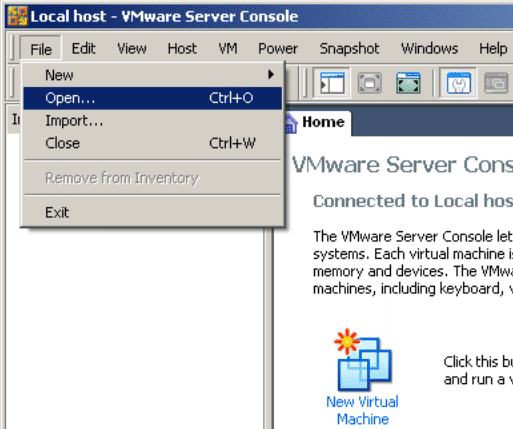 Both VMware Player and VMware Server are available for Windows and Linux. 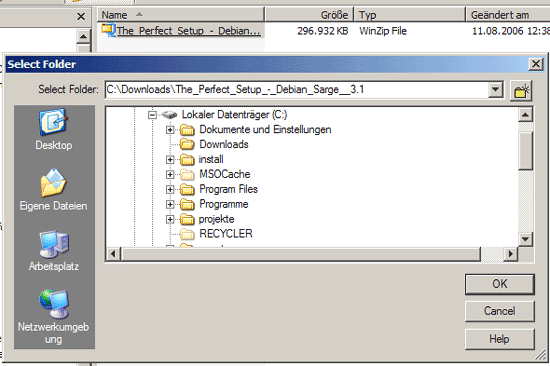 I assume you have one of them already installed on your system because this document doesn't cover VMware installation. 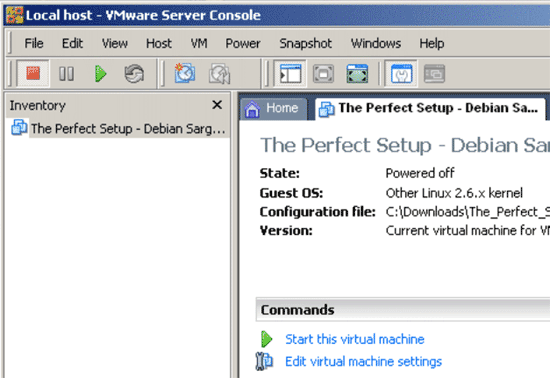 Apart from that, the Perfect Desktop tutorials come with installation instructions for VMware Server as well. The standard password of all users (root, admin, MySQL root user, etc.) in HowtoForge's VMware images is howtoforge. 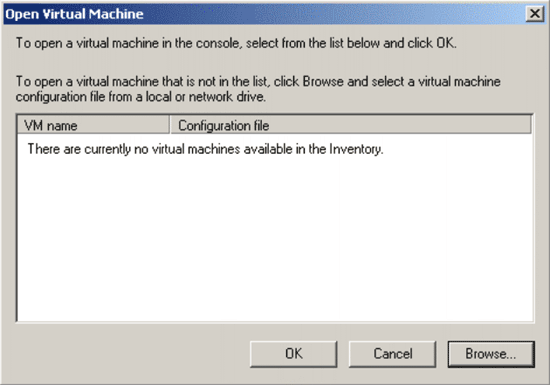 Depending of the values of your LAN, you might have to change one or more settings in the image. Directions about how to do this can be found in the appropriate "Perfect Setup" for your distribution here on HowtoForge. 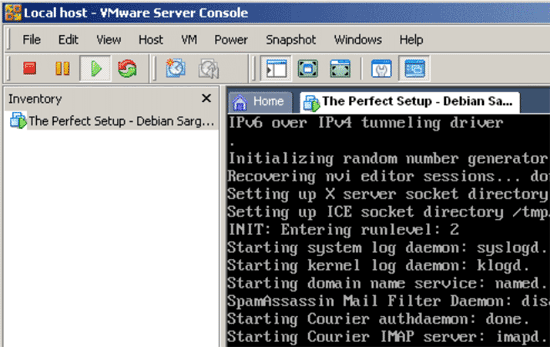 Images of desktop systems don't come with a static IP address - the network settings are configured through DHCP. If you have a DHCP server in your network (most modern routers come with a DHCP server nowadays), then networking should work without any action from your side. The username to log in to a desktop is howtoforge. The password is - as mentioned before - howtoforge, too. If you are a HowtoForge Supporter (i.e., have bought a membership), you can download VMware images for selected tutorials that contain the result of the tutorial so that you can play around with it. 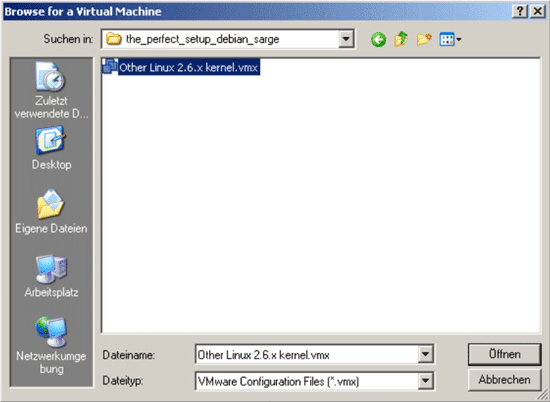 If you start this virtual machine for the first time, you are most likely prompted for a unique identifier. Choose Keep and click on OK.
That's it. 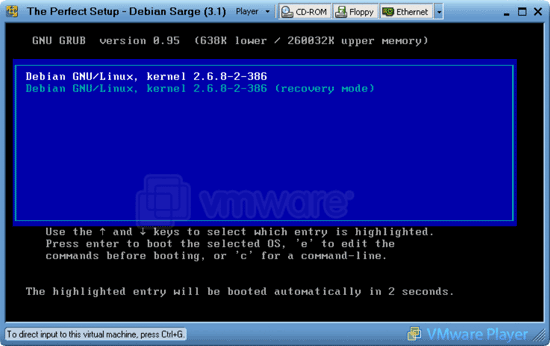 Now you can explore and play around with your new virtual machine! The information is correct, the password is howtoforge. But maybe you used a wrong user, on Ubuntu systems, you can not login as root as root is disabled by Ubuntu, on these vm's you login with the username "admnistrator" and password "howtforge", as explained at the end of the tutorials. 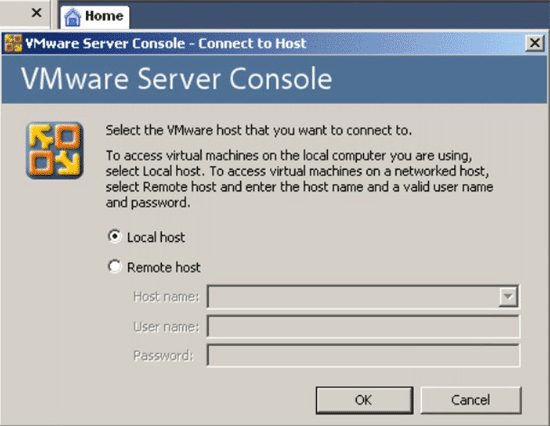 I can't give you a more specifc answer as you did not say which VM you downloaded as all servers have the hostname "server1", so thats not specific to one VM or setup.